Since everyone else under the sun has made their own map thread, I might as well place mine down as well. Anywho, welcome to my map thread, which currently contains a couple examples of mapwork made by yours truely. And we begin with the map that Jafhar and I made for a match that has yet to ever happen, depicting the deserts of a distant, shattered planet (though it could equally be used to depict any other desert with the removal of the star bricks). 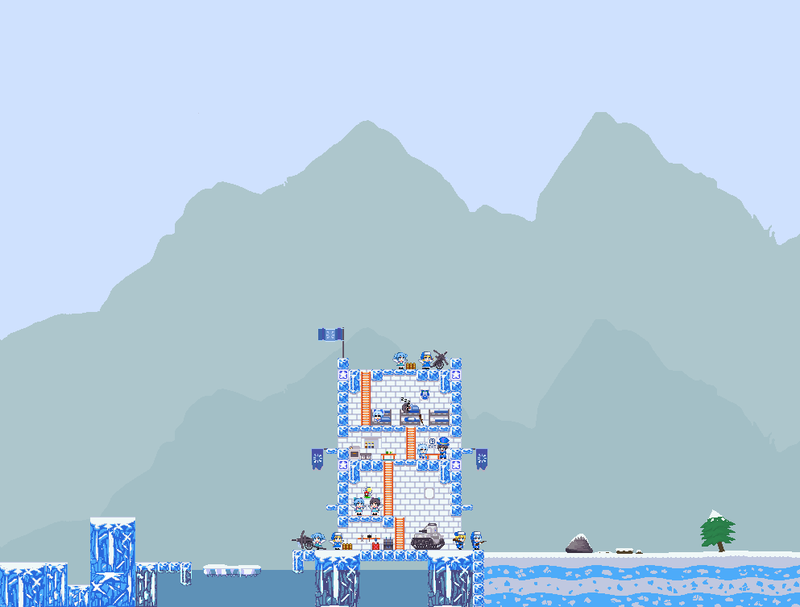 The second map is a small army-specific fort made of ice, with some tricky platforming going on to the left of the map. A look at the fort in use.